The Japanese people take their packaging very seriously. A little while ago I went out to buy a plant at D2. 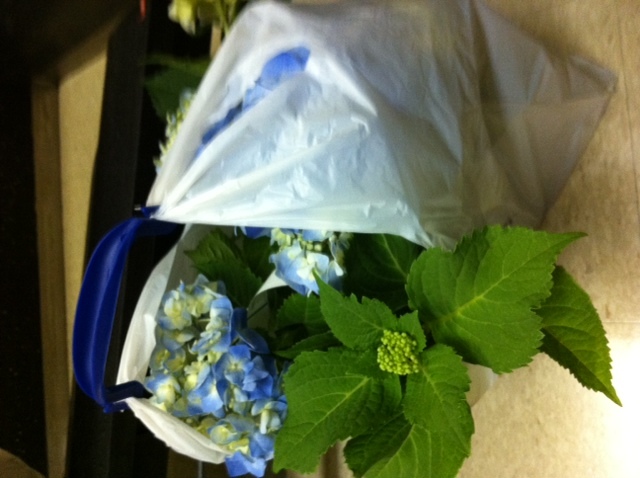 Not only did the store employee put the plant, pot and all, in a bag for me, but she also took the two handles of the plastic bag, and hooked them together with a plastic handle. That way, the bag-handles would not squish the flowers of the plant and it would remain intact all the way home, no matter if I was in a car, on a bike or walking. My plant made it home securely without a scratch. Enjoy the photo! Note the safe handles to avoid harm to the plant!